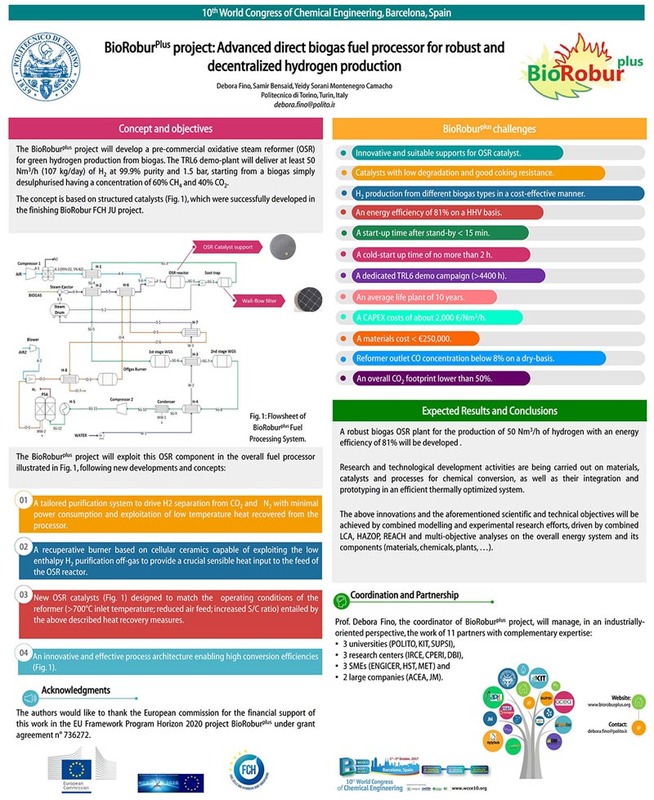 The following dissemination and training activities hereafter described were directly related to BioRoburPlus project. 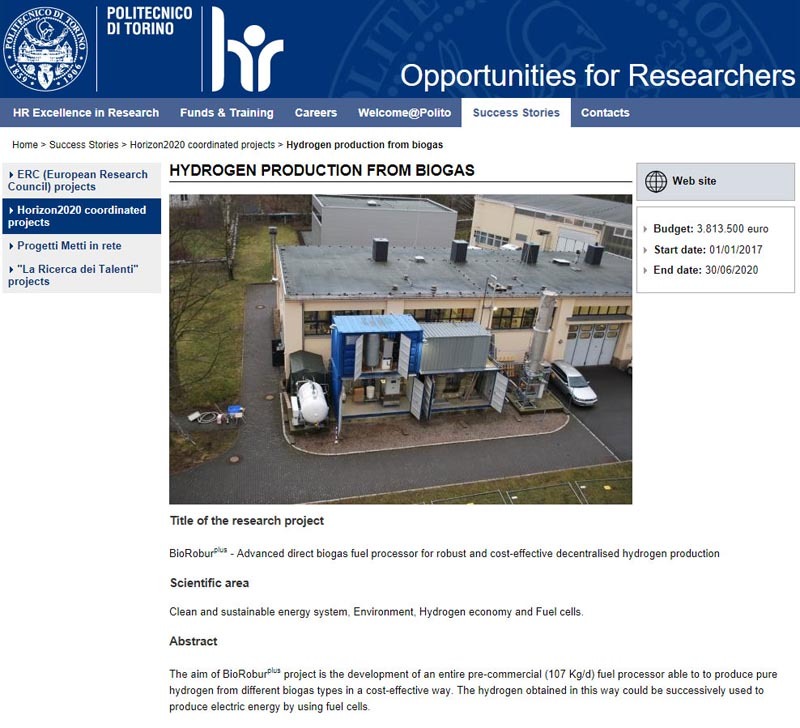 They were significantly associated with Polito activities owing to the mission of this institution and the high specific research activities carried out in the first 12M of the project. 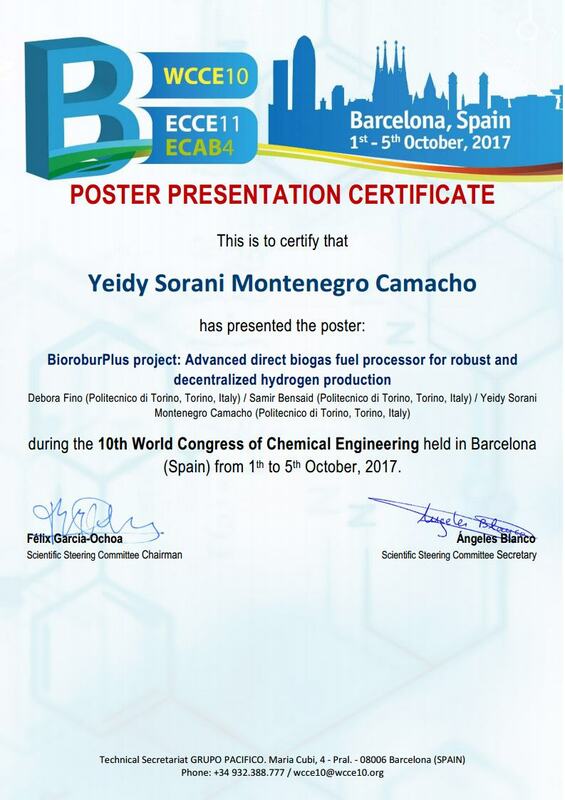 6th European PEFC & Electrolyser Forum 2017 (4th-7th July 2017 in LUCERNE, Switzerland). 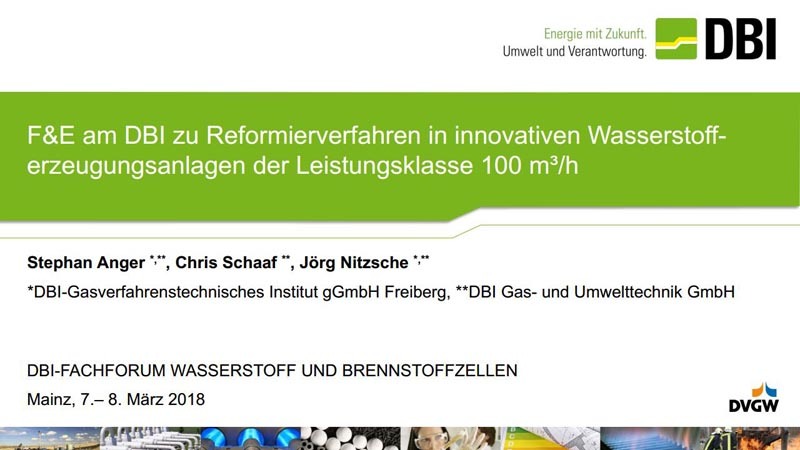 Fachforum Wasserstoff und Brennstoffzellen on the 7th March in Mainz (Germany).